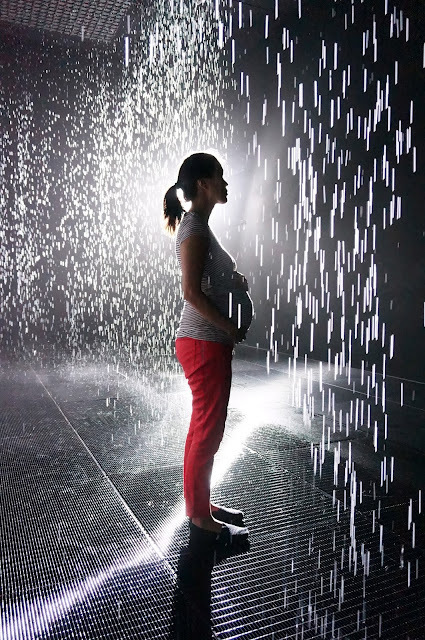 If you're in Los Angeles, I would highly recommend taking time to check out the Rain Room exhibit at the LA County Museum of Art. Tickets need to be purchased in advance and are a bit hard to obtain, but I thought it was worth the effort! I wish I had taken some more time to set my camera settings a bit better, but oh well. Iphone shots also come out decently! I found that the best photos were taken with the subjects being backlit by the only light in the room. Also, note that if you are a little person (i.e. my two year old daughter), the sensors aren't so great and you WILL get wet. This also happens if you crouch down to take a photo, as I learned personally. All in all it was a fun afternoon!